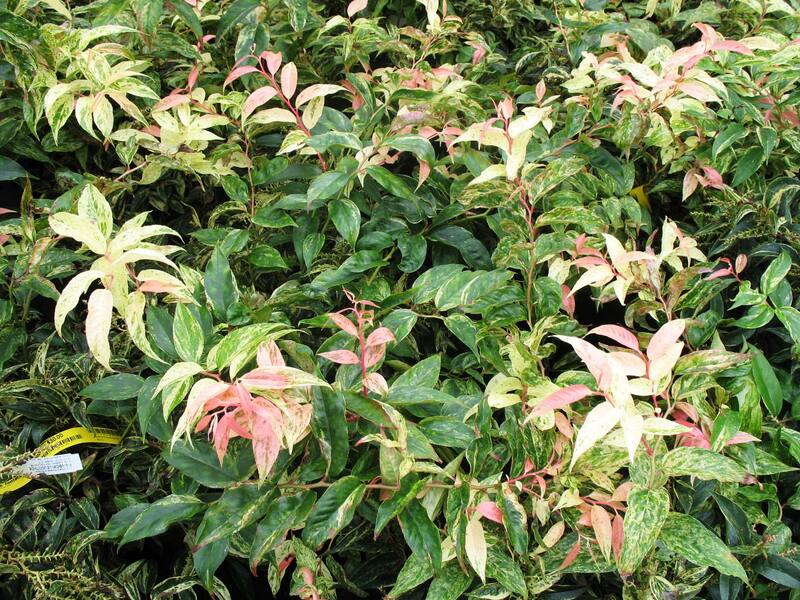 Comments: Colorful, mottled leaves on arching, striking, red stems make this plant outstanding in the landscape. It has showy, pendulous clusters of white flowers in spring. It is effective in a container, as a hedge or as a clipped ground cover. Has dramatic foliage colors of green, white, pink and mottled ones with two or three of these colors.